Dear Jesus, I rejoice that you, the only one who lived in heaven before you were born on earth, would give us this story. You tell us how our Father in heaven feels about us when we are buried in shame and embarrassment over our sins. 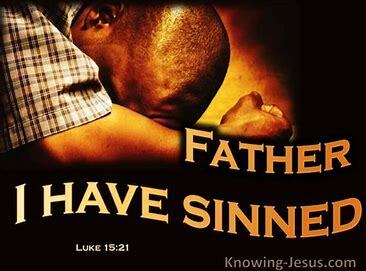 It’s so easy to think that your Father is done with us and our sins. But this story tells me that he's not. The prodigal son had hope that his father would graciously make him a servant. That hope made him go back home. Your Father’s love makes me go back home too. The parable gives me hope that when I come home to confess my sin, your Father will run to greet me with grace. This is the most stable influence in my spiritual life. You are the God who cannot hold back your forgiveness when a sinner comes home. I’m home with God the Father because of you Jesus. My goal today is to stay home in your family. God wants every single person to come to realize that God really does love them like he loves Jesus.